We are distributors of Air-Flo and TruckCraft dump bodies. When you purchase a quality dump body that has been installed by Unicell, you can be confident that the product has been installed to very high quality standards for years of dependable service. Airflo Pro-Class get the modern styled body you want with exceptional strength. Built for ease and efficient operation. 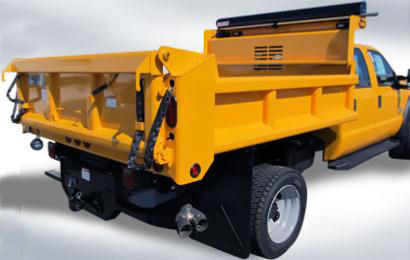 Some features include: Exclusive Quick Latch tailgate, Double Wall 10 ga steel sides, High lift capacity scissor. 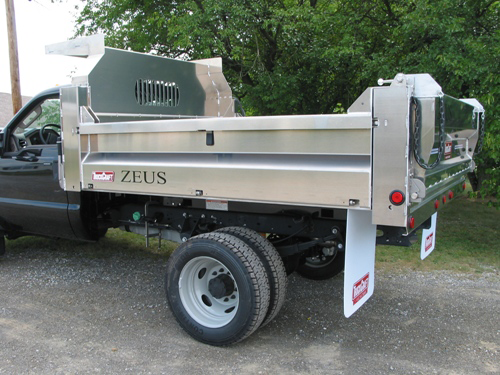 Zeus offers you to haul up to 500 lbs or more due to the aluminum construction of the body with state of the art hoist capabilities.